Bet on Chris Wood at 7/2 to Finish Top Ten with Unibet. Bet on Russell Knox at 11/8 in Paddy Power’s ‘Top Scot’ market. Bet on Mikko Ilonen for a T20 Finish at 5/1 with 888sport. There’s a new course for the Irish Open - a change that golf betting fans should bear in mind when placing their wagers. From all reports it’s an absolute cracker. The quality can be measured by the fact that Nick Faldo played it in the 1990s and promptly asked to buy it, and also by the recommendation of host Rory McIlroy who said of it: "It's pure links, one of the toughest links courses in the world." 16 years ago it did host a low level European/Challenge Tour co-sanctioned tournament, but the name of the winner tell us little: forgotten Swede Adam Mednick who made only one further top ten at this level. After finishing last week in second place Chris Wood didn't hide his disappointment. "Gutted, really," he said. "When you get a chance to win, you always want to take it, but on the other hand it's a massive boost." Moreover he could hardly have found form at a more timely stage of the season, for few on the Tour play seaside golf which as much enthusiasm and skill as the tall Englishman. In fact it is only two weeks shy of ten years since he announced himself on the world stage by finishing tied fifth in the Open Championship at Royal Birkdale whilst still an amateur with his dad on the bag. The following year he was tied third at Turnberry and he was T14th 12 months ago back at Royal Birkdale. Last week's runner-up finish was his second of the season and the first came in the Oman Open, on a modern design at Al Mouj but one which had a distinct linksy feel he appreciated, which further fuels the idea that he's worth following this week and may represent some betting value, as he already has four top 20s in his Irish Open log book. Bet on Chris Wood to Finish Top 10 at Unibet (7/2). Ahead of the U.S. Open Russell Knox had been bubbling, with two top 20s, and he rubber-stamped that hint of form with a solid T12th at the second major championship of the year. It was a week in which he laughed off any suggestions that the course was too tough, merely shrugging and saying: "It's still who gets his nugget round the course with fewest shots." That mind-set might have helped him again in the tough test at Le Golf National because where some struggled, he thrived. He also did so despite jet lag causing chaos to his sleep patterns early in the week. The American-based Scot returns to this event for the first time since 2016, the year he finished second behind Rory McIlroy at the K Club, and he is flying high in the Race to Dubai: 25th in the rankings despite having played only two events. He's a two-time top ten finisher on links courses in the Scottish Open, at Gullane and Castle Stuart, so the distinct test shouldn't scare him. With his game and his mind in good shape he makes an attractive option with Paddy Power at 11/8 in the Top Scot market, not least because those he is up against are struggling. His seven opponents have three top tens between them all season. Bet on Russell Knox in Paddy Power’s Top Scot market (11/8). Back when he was merely a promising amateur in Finnish golf Mikko Ilonen was offered a superb opportunity by a benefactor: to spend a few weeks travelling round Ireland playing the great links courses there. 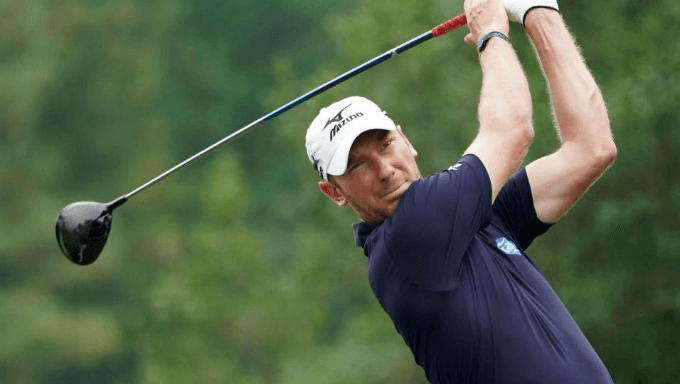 It was an early example of someone "paying it forward" and it certainly paid off for Ilonen who used the experience to fuel his victory in the 2000 Amateur Championship at Royal Liverpool. Twelve months later he finished T9th in the Open at Muirfield and added T16th when the championship returned to Hoylake in 2006. In the Scottish Open he has finished T13th at Castle Stuart, T16th at Royal Aberdeen and led after 18 holes last year at Dundonald Links. In this tournament he was T10th at Royal Portrush and a wire-to-wire winner, albeit at the inland Fota Island. This season he is playing a little less, aiming for more quality when he does peg it up and there have been signs of success after a flat 2017. He was T3rd in the Trophee Hassan II and last week he was top ten at halfway in Paris as he recorded T35th, the second best finish at the Open de France in his career (11 starts). He's 5/1 to make the top 20 with 888sport - a bet certainly worth looking at. Bet on Mikko Ilonen to Make the Top 20 with 888sport (5/1).